The Norwood - Mt. Olive Cemetery. “Let us look some more at this marvelous man. Why was he so loved and respected by the young and old of both races? How did he become so useful in life? Who taught him how to make friends and influence people? It is hard to find the full answers to these questions. He belonged to neither church nor lodge. He did not "profess religion" until late in life. He was clean and decent in person and speech. He could almost match Lincoln with homely stories and apt illustrations. He went about quietly serving good causes. He directed many a young person away from evil and harm. He knew how to put his own in their proper places while causing others to do right and respect one another. This man was noted for teaching many young men and boys throughout the country how to hunt, fish, swim, play ball and ride horses. He was a somewhat self-appointed manager coach, and umpire of much of our rustic games. He knew the wild things that grew and lived in nature. Out of this younger set there were those who became professional people and public officials. The remainder became better than average citizens. The hero of this story had no small share in it all. This was evident, especially among his own children, as well as the good results so apparent among others of both races. Moreover, the mature men of importance of the area, from constables to our congressman, liked for Henry to be with them during their "big game" hunting trips. 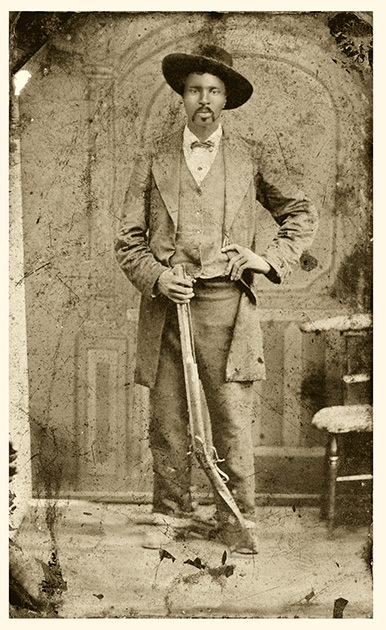 High in the Winding Stair Mountains over in the Indian Territory, now Oklahoma, was their favorite hunting grounds. Being an expert woodsman, he was needed as a guide to keep the hunters, especially those lacking in experience, from getting lost in the trackless mountain forests. 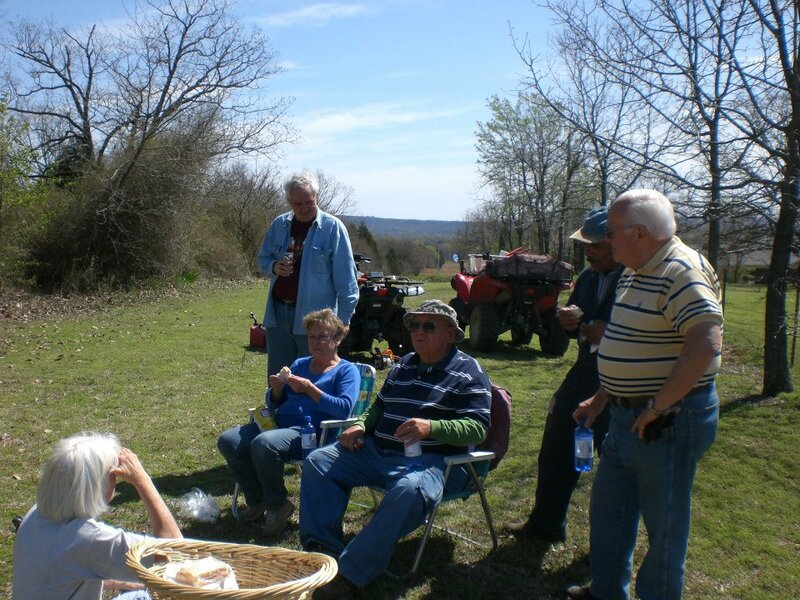 These are facts that many now dead knew about, and still some who are living remember quite well.” from The Remarkable Henry Norwood Family of South Sebastian County Arkansas by Oscar Stallings, The Key: Annual Publication of the South Sebastian County Historical Society 10:1. Greenwood resident Sue Edwards rediscovered the Norwood – Mt. Olive cemetery, and along with her husband Otis, and neighbors Dan and Donna Gladwin, completed the majority of the work clearing the cemetery, along with help from other community members and groups. It should also be noted that this work could not have been done without the cooperation of the landowner – Mrs. Wanza Gann and family. 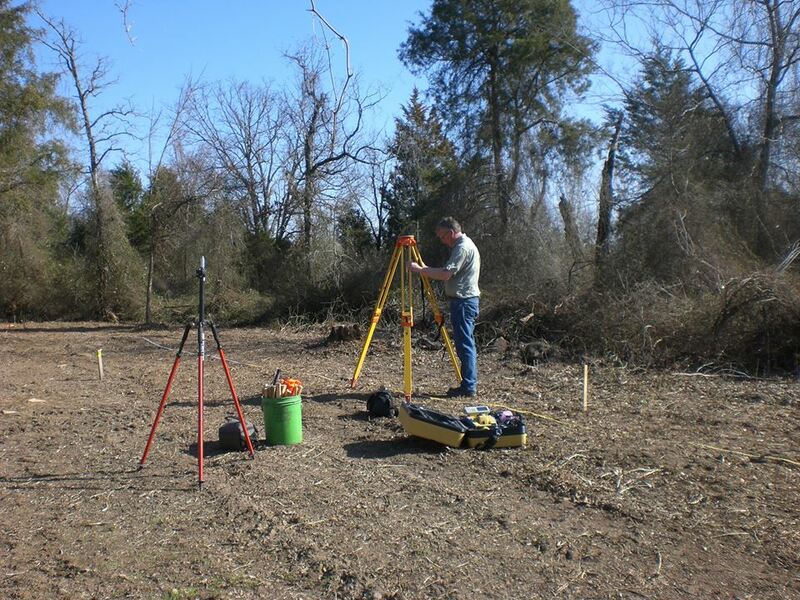 The Arkansas Archeological Survey played a small part in this story, with Tim Mulvihill of the UA - Fort Smith Research Station making a map of the cemetery and conducting a geophysical survey (remote sensing) of the property using electrical resistivity to help identify the unmarked graves, so that once the cemetery was fenced, it would include all of the possible graves. Dr. Jami Lockhart of the Survey processed and interpreted the electrical resistance data. Some of the volunteers who cleared the Norwood – Mt. 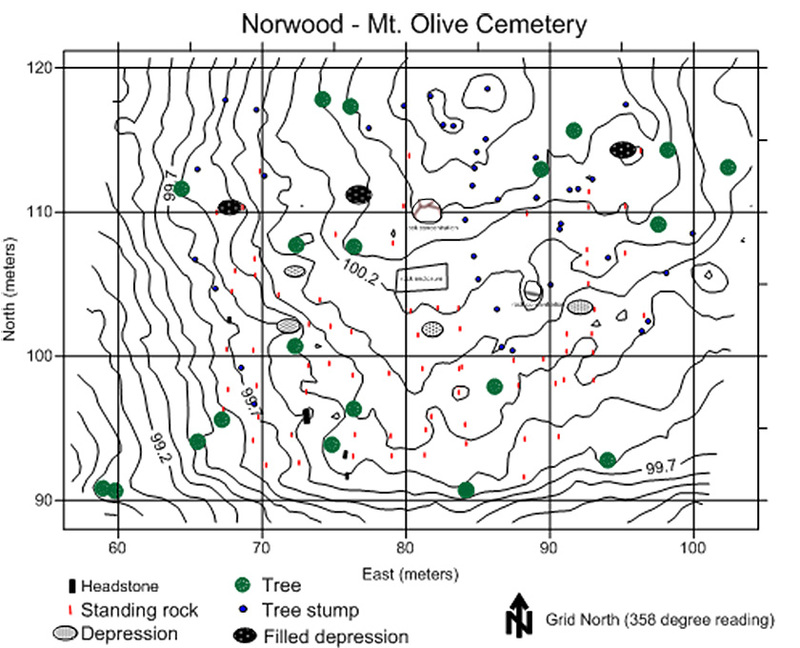 Olive Cemetery. Tim Mulvihill getting ready to map the cemetery. The cemetery was rededicated on Sunday June 28, 2015 with two of Henry Norwood’s grandchildren in attendance, along with other family and community members. Donna Goldstein, of the South Sebastian County Historical Society, obtained a grant from the Black History Commission of Arkansas (Curtis H. Sykes Memorial Grant) to provide a fence and plaques for the cemetery. As part of the grant, Goldstein also created a biography and display that will be housed at the Arkansas History Commission. However, the story will not stop here. 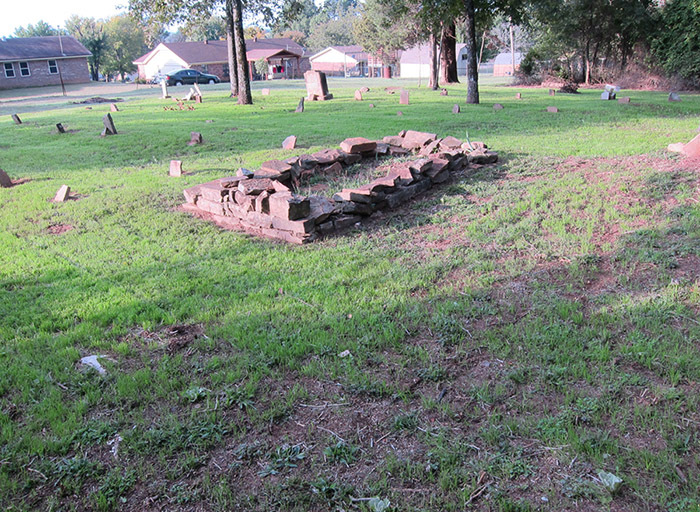 Greenwood High School is developing a study unit for the history of the Norwood family and the cemetery as part of the curriculum for emancipation in Arkansas. This is a method of teaching referred to as Community-Based Learning, which makes the subject more personally relevant to the students. This way the Norwood family will continue to be remembered and studied in the future.